On March 25, 1911, a devastating fire started at the Triangle Shirtwaist Factory in New York City. Workers had been locked in the factory to discourage theft and prevent labor organization, and they were unable to escape when the fire began. The fire killed 146 people, many of whom jumped to their deaths from the sixth and seventh floor workrooms. Most of the victims were immigrant women from eastern Europe. The worst industrial tragedy in the United States to that date led to an outcry over the factory’s conditions and to factory labor safety reforms. This booklet of sheet music features a song about the Triangle Shirtwaist fire. 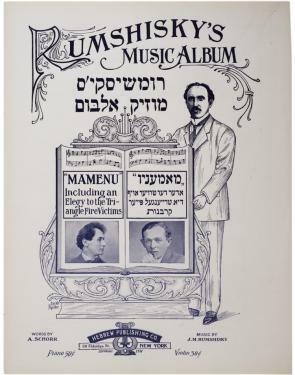 Written and printed in Yiddish, pointing to the largely immigrant Jewish heritage of the victims, the song commemorates the workers and laments their deaths. Read the document introduction, view the images, and apply your knowledge of American history in order to answer the questions that follow. Why did manufacturers rely on immigrant women to work in their factories? Many of these factories were called “sweatshops.” What did this mean? 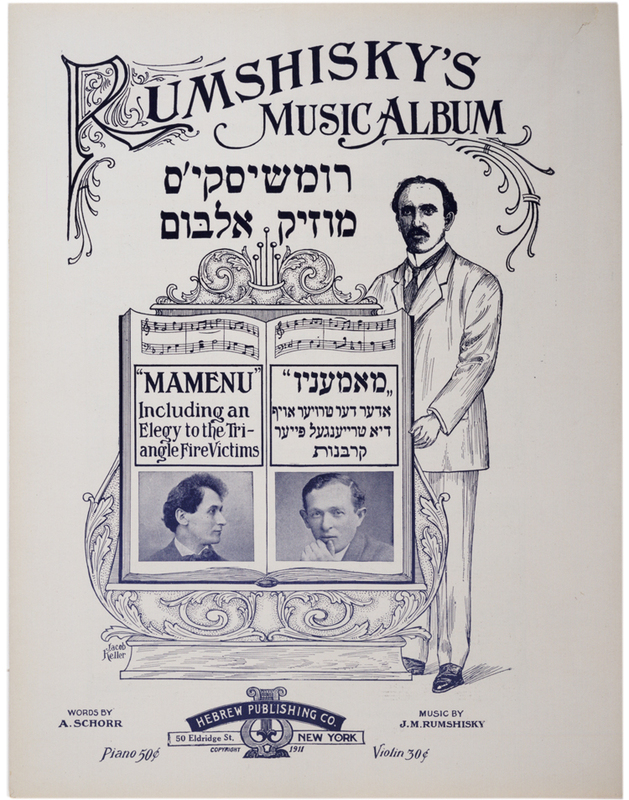 Why were the sheet music lyrics written in Yiddish and many memorial posters in Italian?